When Beverly Clopton’s momma asked what job she was planning to get, Beverly replied, “I’m going to be a writer.” Not missing a beat, Beverly says her mom retorted, ” Writing is not a real job! You have to get a job that pays money.” The eldest of nine children, Beverly, obeyed her momma. She grew up in Dallas and completed her undergraduate studies in the great state of Texas before embarking on a 40-year calling as a professional educator in the Dallas, Denver, and Los Angeles public school systems. Stepping into retirement offered Beverly the opportunity to return to her first loves—the written word and the Word of God. She has since published three books of devotions, including Heaven or Bust: Journey to Glory, Sonshine: Reflections of Faith, and her most recent book, Surviving Pitfalls on the Path. 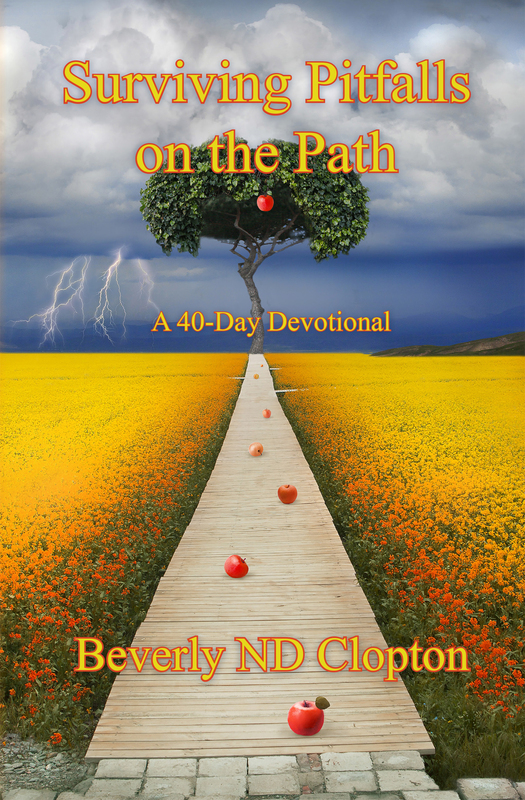 Surviving Pitfalls on the Path is a devotional that explores forty snares believers can expect to encounter as they travel the path to their destination. Each chapter exposes the danger of a particular pitfall and offers encouragement and support to help avoid the trap and its entanglements. Both the Old and New Testaments speak to the chapter’s pitfall. And as believers turn to their biblical guidebook for help, they come to understand this sacred word is their most powerful ally in defeating the enemy. We are indebted to this writer for the spiritual acumen she offers in this forty-day devotional. It is a spiritual resource sure to guide the faithful toward the realization of their journey’s quest: heaven and its glory. Rev. Dr. Henry L. Masters, Sr.